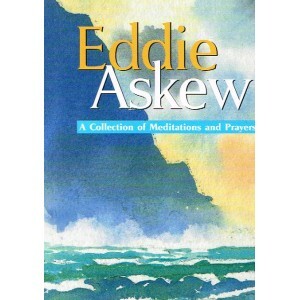 The above quote, taken from the opening meditation in this book reflects the author's message of comfort and hope which are a recurring theme of 'No strange land'. This is the fourth volume of Eddie askew's well-loved books to be produced in a revised edition. Eddie's humanity, integrity, and artistry once more emerge as he adds prayers and pencil drawings to the thoughts originally produced in The Leprosy Mission's newsletter. This new edition, featuring 30 compilations of Bible reading, meditation and prayer, is furthur enhanced by some of his most beautiful watercolours, inspired by his travels around the globe.